Two reviews of the Manitoba Environment Act, proclaimed during the election writ after the Pawley government fell in 1988, are ongoing in Manitoba. The Manitoba Law Reform Commission was directed to review the Act in late 2013. Their review included a discussion paper no longer available, one public event, and a series of in person in depth interviews with Manitobans who have interacted with the law in various capacities. Manitoba Conservation and Water Stewardship (MCWS) also issued a discussion paper, and solicited review comments. The paper is posted in the online public registry. The folder on the registry refers to the Environment Act Consultation. To date there is little indication that a consultation will be conducted. Both discussion papers had a specific set of goals, or agenda. MCWS did not hold any focus groups, interviews, workshops or discussions. The goals outlined in the department’s discussion paper are based on faulty assumptions about current environmental conditions in the province. Manitoba Wildlands provided comments which assessed the Environment Act, as it is being applied, identified changes needed, and responded to the two reviews. It was necessary to disclose that our director, Gaile Whelan Enns, was involved in the public policy work to arrive at this Act, and then participated on an advisory committee to see the Act proclaimed. While agreeing with goals to put environmental effects assessment standards into regulation, and do the same for cumulative assessment, Manitoba Wildlands commented on the Intent in the Act that is not being fulfilled. Improving standards for proponents filings are supported by Manitoba Wildlands. Access to information; reviewing hundreds of grandfathered licences, mechanisms to inspect and review licences, change the licence to deal with, for instance, climate change impacts; and stopping ‘minor alteration’ licences are priorities for Manitoba Wildlands. It is our suggestion also that the Intent section of the Act be updated, including to add missing definitions. The risk arising from this process is that a changed Environment Act with numerous amendments will be handled only in the Legislature from this point. Further ‘consultation’ is required, especially about the Classes of Development definitions, and the Clean Environment Commission. The Manitoba NDP government has several public reviews going on during summer 2014. These include park management plans, a peatlands strategy for the province, and the appeal period for the Keeyask generation station licence. The steps for the Lake Winnipeg regulation review hearings are also starting. Manitoba Wildlands is providing information about these reviews as most have not be announced in a government press release, and others are difficult to find on the government website. 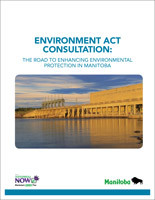 See our news item about the two reviews of the Manitoba Environment Act. See links below for information about these current and ongoing reviews. Seven park management plans are under review in the same time line. Manitoba Conservation is working to catch up on the dated or lacking management plans for parks in our province. Caribou River Wilderness Park, Colvin Lake, Neultin Lake, Numaykoos, and Sand Lakes parks are all located in far northern Manitoba. Draft Park Management plans are posted for public comment until September 1, 2014. Nopoming and Manigotagan open houses will be held in September 2014. There is no pubic registry file for the review of these park management plans. Manitoba’s Peatlands Stewardship Strategy was released in early summer 2014, and it is under review until August 1, 2014. There is no information on the Manitoba Conservation website (see links below) as to filing public comments or the end of this public review period. The Peatlands Stewardship and Related Amendments Act passed third reading, and was proclaimed in June 2014, in advance of public review of the Strategy. The webpage for the Act indicates the review of the Strategy ends August 1, 2014. There is no public registry file for this public review. The deadline for appeal of the environment licence for the Keeyask Generation Station is August 2, 2014. Comments are sent to the licensing branch of Manitoba Conservation. The regional cumulative effects assessment (RCEA) of Hydro generation on the Nelson, Burntwood, and Churchill rivers water basin is ongoing. The Manitoba Conservation public registry has a file and page for these materials. The CEC made a recommendation for this RCEA in its Bipole III report to the minister. To date there is no indication if public review of these materials is intended, or whether Manitoba Hydro’s materials will be assumed to be accurate. Manitoba Conservation may in fact have external experts review the data, and information about 40 years of reservoir status for Lake Winnipeg. Affected communities and environmental organizations have stated this effects assessment and review needs to be independent, and conducted by external experts. The Clean Environment Commission (CEC) is planning its hearings and community visits about the Regulation of Lake Winnipeg. The overdue filing from Manitoba Hydro is now due July 31, 2014. The terms of reference for the hearings, contents expected from Manitoba Hydro, etc are on the CEC website. It is expected that public participants, and CEC experts will review Manitoba Hydro’s filing. Materials will be posted by the Clean Environment Commission at the end of July 2014. Manitoba Conservation and Water Stewardship recently announced its review of the province’s environment act, with email notices and posting on its pubic registry. A September 30, 2014 deadline has been set for public comments and recommendations about changes to the Act. No press release announced this review to the public. The Director of Licensing under the Environment Act is directing the government’s review of the Act. A short discussion paper is available for review, though comments about updating and improving the Environment Act based on the know how and expertise of citizens can go beyond responding to government recommendations. Manitoba’s Environment Act dates from 1986, but was not proclaimed by the NDP Pawley government before they lost power in 1988. PC Premier Filmon proclaimed the Act. Few amendments have been made to the Act in the 30 years since it was written. Hundreds of installations, plants, mills, and factories in Manitoba were provided ‘grandfathered’ status under the Act, where they do not have an environment licence. Today’s standards in environmental assessment, public access to information, and responsibilities of the proponent for a development are dramatically different. The Manitoba Law Commission has been involved in its review of Manitoba’s Environment Act since late 2013. Starting with a discussion paper and public event in January 2014, the Commission has conducted interviews with organizations and communities who are knowledgeable about the Act, and reviews, proceedings, hearings, and appeals under the Act. Written submissions can be provided to their offices. Their review and decisions on recommendations for the Act will continue through fall 2014 when they will be provided to the government of Manitoba. To date it is not clear how the government of Manitoba will handle recommendations about the future of the Environment Act from two sources: its own bureaucracy, and the respected Law Reform Commission. The results of both reviews will need to be public, and with response to possible amendments and public comments to the Environment Act transparent. To submit comments to Manitoba Conservation use this email address: publicregistry@gov.mb.ca. 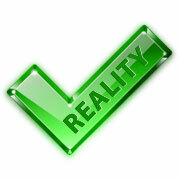 Manitoba Wildlands will be issuing a series of environmental Reality Checks prior to the expected Manitoba fall 2011 election. Each will be assessed based on one issue or question, and public information that is easily available. We will also be providing Reality Checks about environmental promises and commitments made in 1999, 2003, 2007 elections. It should be noted that information about Manitoba's lands and waters, and our environment can be difficult to access. When Manitoba Wildlands issues a Reality Check we will provide: news item on our website, and any attached documents or charts. Sources of information will be provided. Where the Reality Check concerns previous Manitoba Wildlands news or analysis these will be linked. RC-38: How Many News Laws and Regulations Does Tomorrow Now: Manitoba's Green Plan require? RC-37: What Is The Clean Environment Commission? RC-36: How Many Strategies and Plans doesTomorrow Now: Manitoba's Green Plan need? RC-35: Do Manitoba and Canada Have Public Consultation Standards? RC-34: Will A West Side BiPole Impact Woodland Caribou, and Aboriginal Rights? RC-33: Is Fracking Happening in Manitoba? RC-32: How Many Peat Quarry Leases in Manitoba? RC-31: How Many Hydro Power Converter Stations Does Manitoba Have? RC-29: What Are The Bipole III Review Steps? RC-28: How Are Manitoba Environmental Assessment and Reviews Conducted? RC-27: Can Your Heat be Turned Off in Winter? RC-26: How Many Hydro Projects Are Planned? RC-25: Does Manitoba Have ATV Policy? RC-24: Are Lake Sturgeon Protected in Manitoba? RC-23: Does Manitoba's Government abide by its Sustainable Development Act? RC-22: What happens in 'no-logging zones'? RC-21: Does Manitoba Have an Energy Plan? RC-20: Are East Side Promises Being Kept? RC-19: What is the Churchill River Diversion (CRD)? RC-18: Are Some Statutes Not Law? RC-17: How Are Laws Made in Manitoba? RC-15: Is Manitoba Energy Efficient? RC-14: Does Manitoba Have a Woodland Caribou Recovery Strategy? RC-12: Does Manitoba Trees for Tomorrow Program Fight Climate Change? RC-11: Does Manitoba Enable Community Driven Lands Plans? RC-10: Do we produce wind energy in Manitoba? RC-09: Are Manitoba Heritage Marshes Protected? RC-08: Is Manitoba's East Side Protected? RC-07: Are Manitoba Wetlands and Marshes Protected? RC-06: Are Manitoba Waterways, Rivers and Lakes protected? RC-05: Community Pastures - Can We Protect These Lands? RC-04: Are Manitoba Wildlife Management Areas Protected? RC-02: Is Manitoba Protecting Species At Risk? RC-01: Do Manitoba Protected Areas Have Management Plans? Manitoba Releases New "Green Plan"
Manitoba released Tomorrow Now: Manitoba's Green Plan June 15, 2012. The 54 page eight-year strategic plan calls for the subsequent development of new environmental plans, strategies, laws, policies, etc. There is no crown lands, parks or protected areas plan included. Support for municipal and community based curbside organic pick-up and composting programs. The new green plan does not contain a firm target for greenhouse gas emissions. The government failed to meet its previous target — a six per cent drop from 1990 levels by 2012. The number was based on the Kyoto Protocol and enshrined in provincial law. "Before any other targets are concluded, it's absolutely critical that we have a mandatory reporting of emissions," Manitoba Conservation Minister Gord Mackintosh acknowledged, adding: "You can't cut what you can't count." The David Suzuki Foundation (DSF) released "All Over the Map 2012: A Comparison of Provincial Climate Change Plans" on April 11, 2012. This is the fourth time DSF has reviewed provincial climate change plans. Previous assessments were done for 2005, 2006, 2008. Manitoba received a grade of "fair" in the 2012 assessment. During the first DSF assessment in 2005 Manitoba received a grade of "best", but in 2006 that was reduced to "fair" before it was increased to "good" in 2008. "The Manitoba government, for most of the past decade, made some impressive commitments on climate change. ... However, policies to tackle the greatest sources of emissions - from agriculture and road transportation - have been at best voluntary or weak and at worst non-existent. Emissions in those sectors, and in the province as a whole, continue to rise," states the report. Increase funding for agricultural strategies to reduce emissions from agriculture and animal operations. Implement recommendations of its own vehicle standards advisory board, including regulating vehicle fuel efficiency standard in line with California standards (as Quebec and B.C. have done). Proclaim the rest of the Climate Change and Emissions Reduction Act. Speed up the legislative process and join the Western Climate Initiative emissions trading scheme. Implement a feed-in tariff for renewable power, including wind. Increase funding for and participation in the Sustainable Agriculture Practices Program. Assess annually progress on reducing emissions through climate programs and policies. 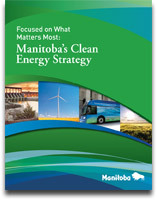 Manitoba will be releasing an environmental plan in summer 2012 that may shed some light on intended climate change actions. New Environment Plan for Manitoba? Manitoba intends to release an environmental strategy covering everything from climate change to recycling in summer 2012. "We thought it was important to plan several years out to have a road map, a blueprint to see how we allocated resources as well, so Manitobans know how the pieces fit together," said Manitoba Conservation and Water Stewardship Minister Gord Mackintosh. The announcement was made in the Winnipeg Free Press. No Government of Manitoba press release was issued. Nothing is available on the Conservation and Water Stewardship departmental website. "We hope that the minister means he will be releasing some kind of draft plan for Manitoba's environment this summer - and then have public meetings and review so that Manitobans will have their say. A plan written inside government needs Manitoban input. There are also regulatory matters that need attention. One example is the lack of any environmental assessment regulation in Manitoba." Kristina Hunter, a environment and geography professor at the University if Manitoba's and vice-chairperson of the Manitoba Roundtable on Sustainable Development, said she would love to see the province get more aggressive on urban planning, to encourage the creation of denser, more walkable communities instead of sprawl. "That's a real void, in my estimation," said Hunter. Manitoba Wildlands undertook a review of the Public Registry system in Manitoba during 2010. The review included audits of contents of files on site at the main registry in Winnipeg, and on-line audits. It should be noted that under Manitoba's Environment Act the registry is the paper file system for all licences, reviews, amendments, project files, etc. Manitoba Wildlands is auditing the Manitoba government's climate change targets, actions and commitments. Manitoba Wildlands has assembled contents of Manitoba government Throne (opening a legislative session) and Budget speeches and government releases or backgrounders for those speeches, from fall 1999 through 2009. The categories of commitments, declarations and policies included in the chart are: protected areas, water, energy, climate change, conservation and environment. Each year and issue area is bookmarked in the pdf provided. Manitoba Wildlands also aims to analyze and comment on status and progress regarding these environmental commitments, declarations and policies from the Manitoba government Throne and Budget speeches and associated documentation. The transcripts for these speeches are linked in each report. Manitoba Wildlands has assembled a listing of Manitoba government lands, waters, and environment policies from fall 1999 through to fall 2010. This listing was first posted January 2006, updated for January 2007, and August 2009. In 2009 a CD product that includes pdf versions of all policies listed became available. Our society must change from one based on competition to one based on cooperation. We wish to create a society where individuals give according to their needs. We believe present human endeavours must become environmentally sound in order to ensure that future generations may have access to an abundant and diverse biosphere. Our commitment to the electorate is to be forthright about our long-range goals as well as practical about our short-term political activities. Our purpose as a movement is to foster social change toward a more cooperative society. Our purpose as a political party is to develop a public mandate for that social change through giving individuals greater control in the economy, their workplace, and their community. Our actions and words must reflect our fundamental faith in the capacity of people to live cooperatively and to work for the betterment of all. Note: These principles are on all Manitoba NDP membership cards, signed by party members. Other Manitoba Acts can be found by clicking here.